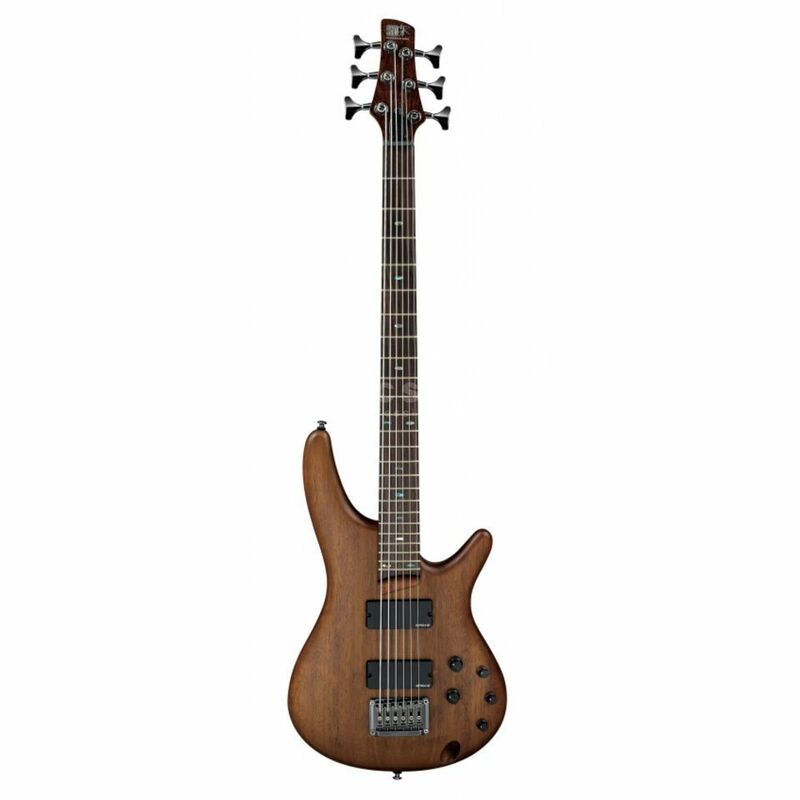 The Ibanez SRC6 in Walnut Flat is a short-scale 6-string bass guitar that takes its place in the brands new Bass Workshop range of instruments and has been designed to push the boundaries of both modern bass playing and players. The Ibanez SRC6 features a lightweight Mahogany body that has been carved into the highly familiar SR shape that is joined by a five-piece Jatoba and Bubinga neck, topped with a Rosewood fingerboard. This combination helps to produce a pleasingly bright, warm tone that is more than capable of cutting through in any situation. The neck itself is a 30” scale model and not the 34” scale that is normally associated with Ibanez basses. When combined with the extra strings, this shorted scale length makes the SRC6 much more versatile than a standard bass and increases its appeal to musicians who would normally only play guitar. The body of the Ibanez SRC6 6-string bass is equipped with a pair of passive EMG 35HZ pickups that have been specially designed to reduce unwanted noise while increasing the output at the same time. This is achieved thanks to the unique Ceramic and Steel construction of the pickup, which also helps to add brightness to the tone. The pickups are joined by an active 3-band EBQ-IIID EQ system that allows for an almost endless array of different tones to be easily obtained. Also present is a Tight End bridge that maximises string vibration and allows for easy setup and adjustment. Finally, the Ibanez SRC6 is tuned just like a regular guitar, only an octave lower. This means that standard chord shapes and progressions can be played just like they would on a guitar, opening up an almost endless amount of creative opportunities.